5 Bedroom Detached House For Sale in Wetherby for Asking Price £479,950. 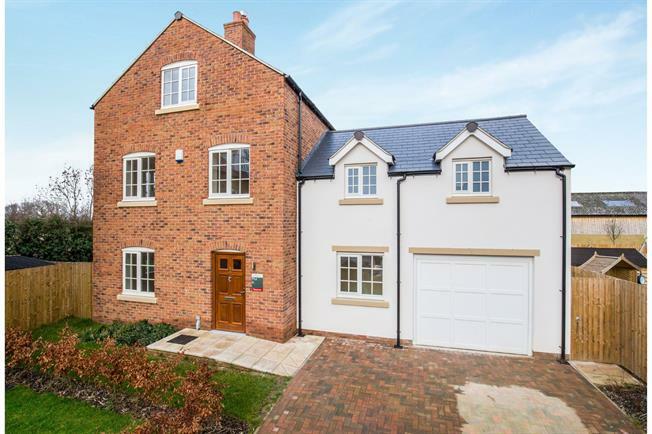 PART EXCHANGE CONCIDERED An impressive five bedroom family home located on this exclusive New development. The versatile accommodation comprising; entrance hall, lounge, dining kitchen with French doors leading out to the rear garden, utility room with separate cloakroom giving access to the garage. On the first floor there is a master with dressing room and en suite shower room, guest room with en-suite shower room, third bedroom and house bathroom. Bedroom four and five are situated on the second floor. The property benefits from quality carpeting throughout.